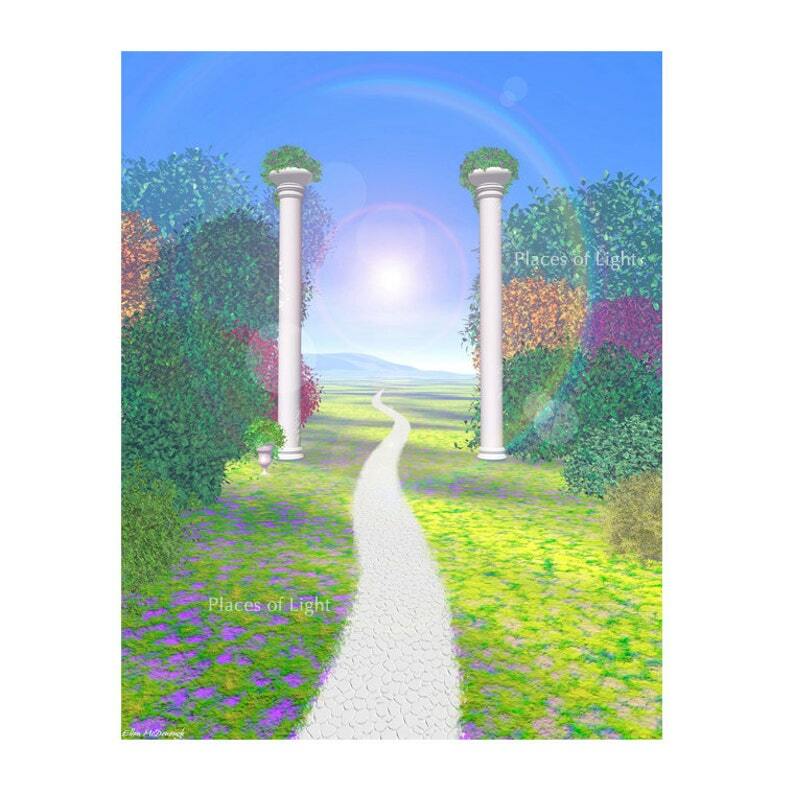 Beautiful, colorful 8x10 print of "Path of Light", featuring a lush garden landscape, colorful trees & flowers with a bright guiding light. Message reads: "Your future is bright". Sure to uplift and brighten anyone's day! Image is printed on quality, semi-gloss Archival paper. Watermark does not appear on the print. Makes a great gift for showing support or wishing someone congratulations!